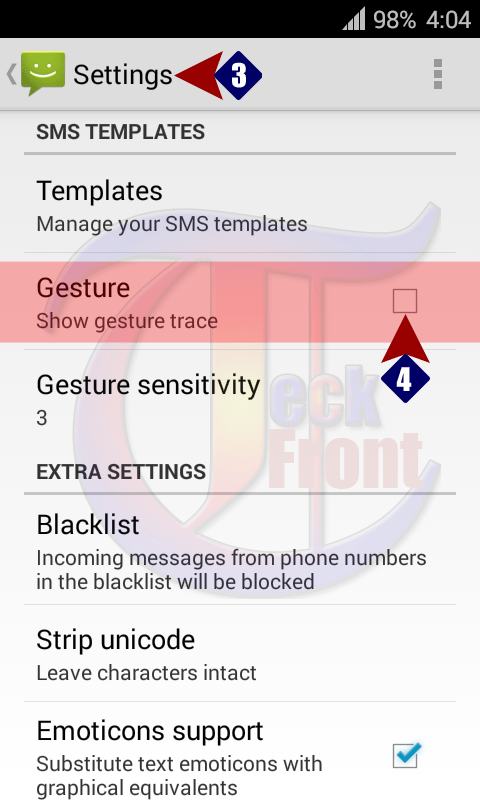 How to Set Gesture on Messages in Android 4.4.4 KitKat Device? 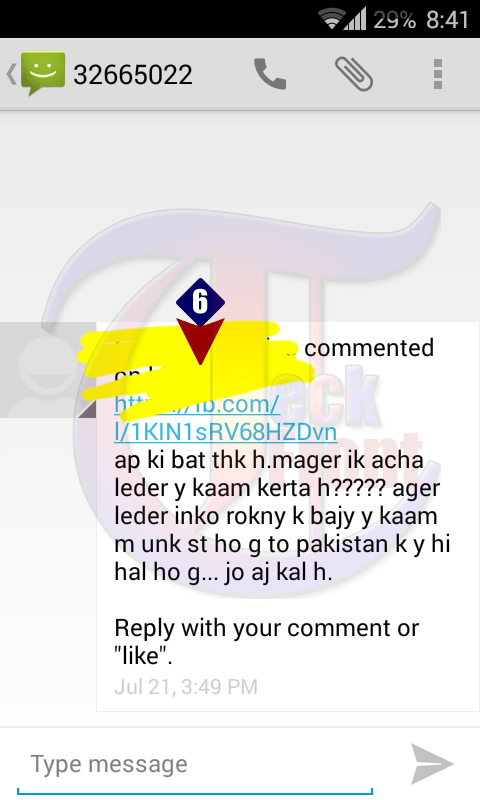 To make messaging a fun, Messaging app of Android 4.4.4 KitKat device has included a feature, Gestures, which makes the message a funny one when finger is rubbed on the screen. You may also hide some part or lines of the message by rubbing it with colored lines. To set the ‘Gestures’ feature in your Android 4.4.4 KitKat device, follow the instructions. Command Line: Messaging App > Settings Button – Messaging Screen > Settings – Popup Menu. 1: Follow the Command Line to open up the ‘Settings’ screen. 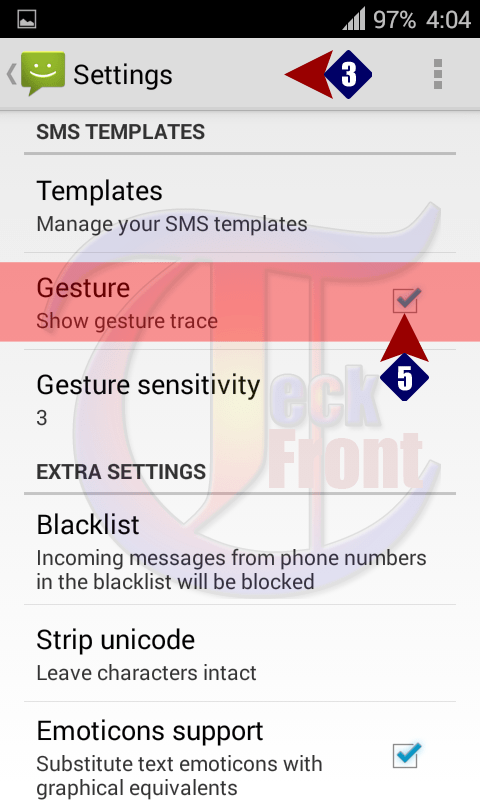 2: See the ‘Gestures’ under the SMS TEMPLATES is not checked, i.e. disabled. 3: Tap ‘Gestures’ under the SMS TEMPLATES on the ‘Settings’ screen to check and enable. Now, go to some message and rub your finger on the ‘Messaging, app screen. The rubbing action will make colored lines on the screen. Older How to Set White Balance for the Best Picture Quality in Android KitKat?